Wordpress is the best blogging platform and also a place free for the creation of website written in php. 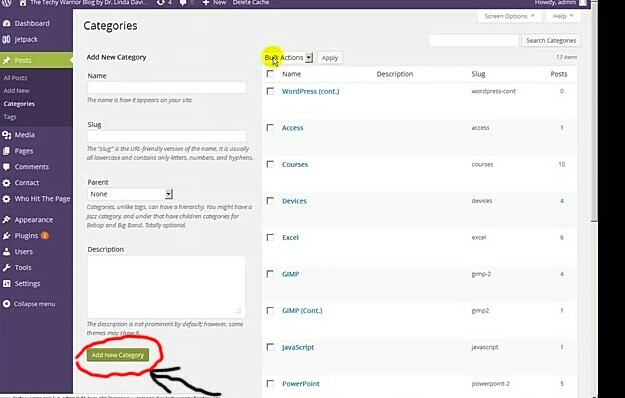 The WordPress has lots of good features and it can be done without much stress so today am going to teach how to insert wordpress categories all you need to do is to follow the steps below. First you need to login to your Wordpress blog and then click on my account at the top left side. Now move your mouse down to the bottom and click on add click on the small arrow which will will bring out different options. Then from options click on categories and after the click will redirect you to were you will find list of all your categories. Now write the name of the category below add new category and then move to all posts and click Edit post. After clicking on the edit post tab move your mouse to the right side of your page and click on ➕ tab add new category. 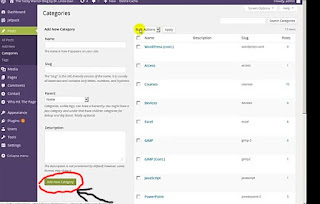 Then click on the publish and when ever you create your new post you can add or create new category and that's all. Hope this tutorial will help you, don't forget to drop your comment below thanks.